MSU Extension offer university resources for all Montanans to explore, even if they never set foot on campus. We provide access to useful information and expert knowledge via workshops, demonstrations, community meetings, publications, videos and the Web. Extension links a network of MSU faculty, topic specialists on the MSU-Bozeman campus and our Flathead County agents, to the people. Montana State University Extension is committed to ensuring the civil rights of its clients and employees. Every client and every employee must be treated fairly and equitably, with dignity and respect. This policy applies to all clients and employees – regardless of race, color, national origin, gender, religion, age, disability, political beliefs, veterans status, sexual orientation, citizenship, and marital or family status. Montana State University Extension encourages persons with disabilities to participate in its programs and activities. 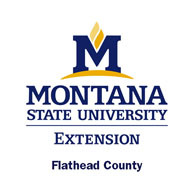 If you anticipate needing any type of special accommodations or have questions about the physical access provided, please contact Flathead County Extension Office at 758-5553 in advance of your participation or visit.